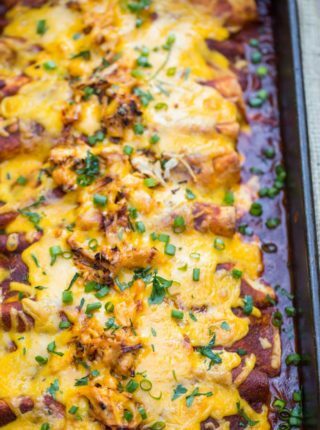 We love easy Mexican recipes including our favorites: Spanish Rice (Mexican Rice), Chicken Fajitas, and our super popular Best Homemade & QUICK Enchilada Sauce. 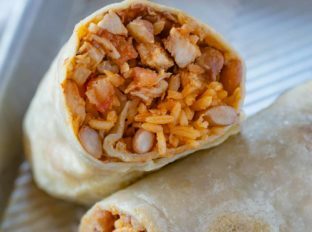 Chicken Burritos are one of my all-time favorite grab-and-go recipes because they’re insanely easy to make, while being absolutely delicious every single time. They also keep really well in the freezer, so you can make a big batch at one time and pull them out anytime over the next two months. This is made with really fresh ingredients, which is exactly why it blows store-bought burritos out of the water when it comes to flavor and texture. 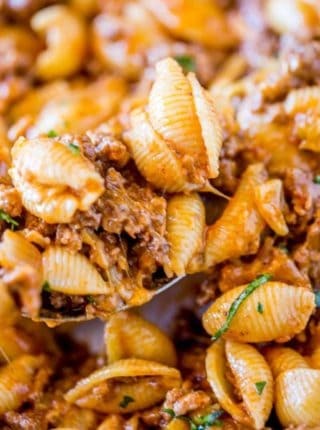 CAN YOU USE OTHER MEAT TO MAKE THESE? You can make this recipe with steak, lamb, or turkey. Just cook it completely, then chop it the same way as you would for chicken. Using the sauté function, add the onions, oil, and seasoning. Cook stirring for 2-3 minutes, until onions are translucent. Add all other ingredients (except for tortillas, sour cream, beans, and rice). Seal the lid and pressure valve. Cook on high for 10 minutes and release naturally. When the pressure releases, remove the lid and take out the chicken. Dice and stir back into the sauce. Add everything except for the tortillas, rice, beans, and sour cream to the slow cooker. Stir to mix everything together. Cook on high for 4 hours, or on low for 8 hours. Remove the chicken and dice into small pieces. Stir back into the pot. Assemble according to the original recipe. 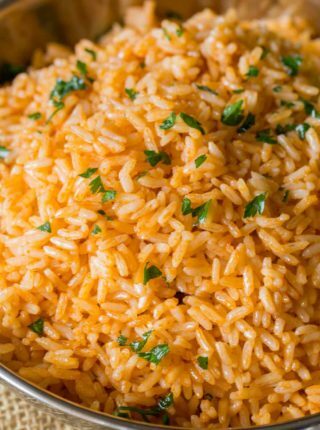 You can replace the Mexican rice with brown rice and use low-fat refried beans, cheese, and sour cream to lighten this recipe up a little bit. If you don’t want to cook your own, you can use a rotisserie chicken. This is also a great way to use up leftovers! If you don’t have refried beans, you can substitute with pureed black beans. 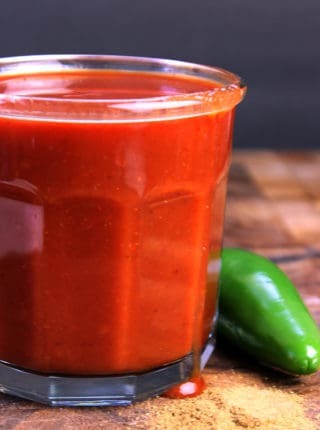 Add a sprinkle of cayenne pepper or a dash of hot sauce to add some more heat to your dish. You can also omit the tortillas and divide the filling among freezer-safe containers for burrito bowls. If you’re going to eat some right away, top with fresh cilantro, sour cream, and avocado slices. The ingredient list notes cheddar cheese. I can’t seem to find when to add this to the burrito. When do you add the cheddar cheese…is on on top? Thanks for the great recipes. Thanks for catching that! How could I have missed adding in the glorious cheese?! I’ve edited it but you’ll want to add it while you’re doing the assembly of the tortillas. 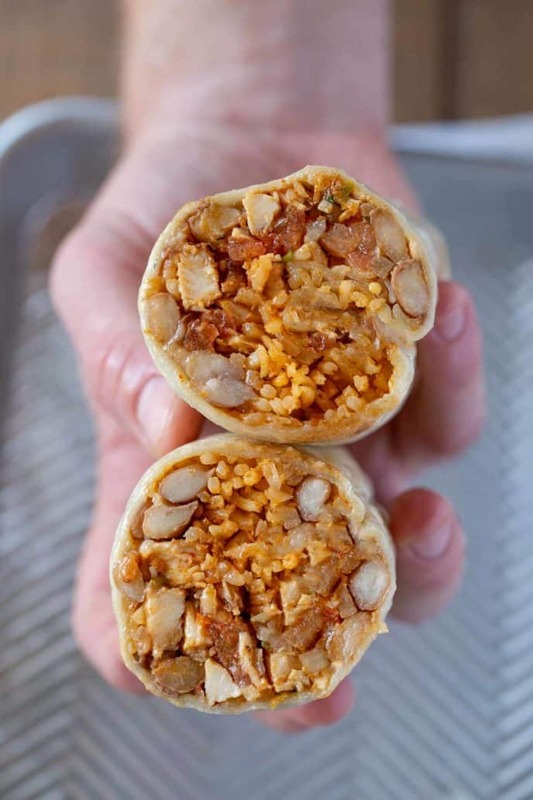 Reminds me of fast food burritos but so much better! Such a great recipe. Thanks, Matt. So glad you enjoyed them! I love burritos but never think to make them! These look so good, I’m craving them now! Saving this recipe!! I’m not sure why I never make these for my three teenagers. I think they would love them and I appreciate that I can make them ahead! Yes, so much easier for grab and go type of meals. 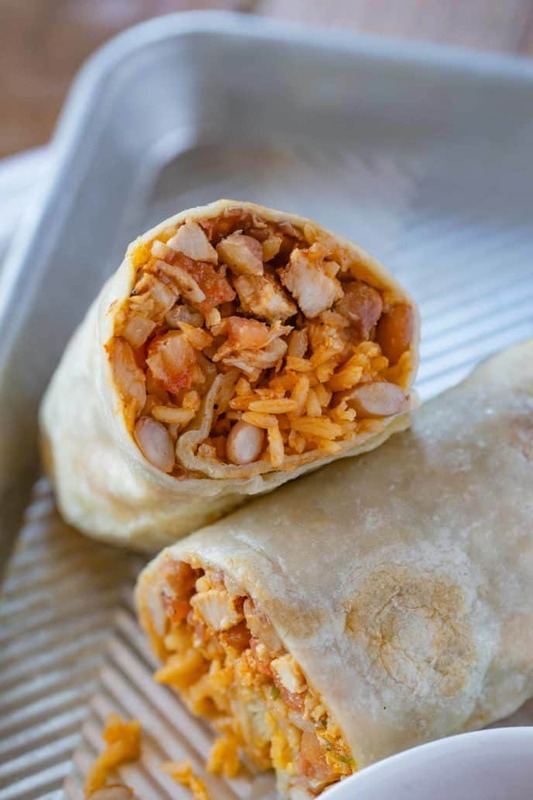 I honestly can’t remember the last time I had a burrito — ever since soft tacos and street tacos became a “thing” I’ve gone with that… but now I remember how much I loved burritos. I appreciate your rotisserie chicken tip too! Easier some nights! Glad I’ve inspired you to try them again. Enjoy! I really like that you include instructions for freezing and re-heating. These will be great to have on hand for after school snacks. I’m glad you found it helpful, Jill! Enjoy! Look so yummy. Will give it a try.